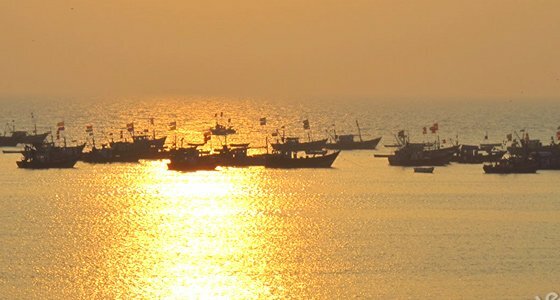 Located about 200 km away from Mumbai, Harnai is a calm and quiet beach gaining huge popularity among the tourists and beach lovers from Mumbai and Pune during weekends. Harnai city is one of the attractive, unpolluted and less explored cities around Mumbai. Apart from the Harnai beach, the city is also blessed with an ancient fort, Harnai Fort, which is a main tourist attraction of the area. Further, one can also visit the Burundi Beach and Anjarle Beach. At Tour My India, we offer a lifetime Harnai Beach Tour to beach lovers from Mumbai and travel freaks visiting Mumbai. Our amazing beach tour to Harnai city will left you totally spellbound. So, enjoy your weekend in the palm-fringed beach of Harnai, which is famous for its clean white sands and safe waters. On arrival at Mumbai Airport / Railway Station meet with our representative and drive to Harnai reach and checkin at Hotel/Resort and later visit to seightseeing of Harnai Fort and many temples dedicated mainly to Lord Shiva back to resort and overnight stay at Hotel/Resort. Harnai is a cute city famed as a gateway to escape from the hustle and bustle of the metropolitan life of Mumbai. 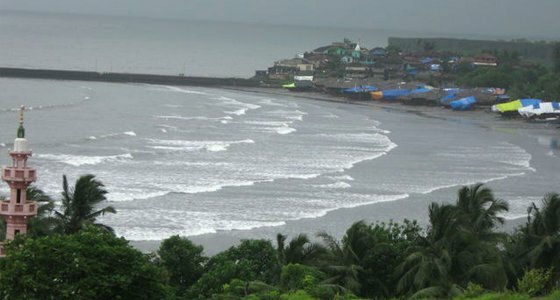 With the serene and clean beach, This is a coastal city in Konkan coast with softy sands and lush greeneries all around. The city is very attractive, unpolluted and mostly unexplored. Siddhivinayak Temple is one of such important ancient temple dating back to 18th century. The temple attracts many devotees and it is assumed that the main deity in this temple Shri Siddhivinayak has high blessing power to remove all obstacles in the path of prosperity of the devotees. Morning after breakfast visit for beach tour, Harnai Beach, Anjarle Beach, Burundi Beach back to resort and overnight stay at Hotel/Resort. Harnai Beach : A very quiet beach, highly attractive for meditation, Harnai beach is renowned as the gateway romantic beach in Harnai. The inflows of the tourists are growing multitudes year by year in this unspoiled beauty of nature. This beach is famed for its clean softy shores and safe waters for fun filled. Burundi Beach : Burundi beach in the state of Maharashtra in India is placed nearby the attractive Harnai city. The natural emerald green beauty of the Arabian Sea is converging with the nature's admirable blue clear skies in the Burundi beach. It is a real summer retreat for visitors to Mumbai and Pune. 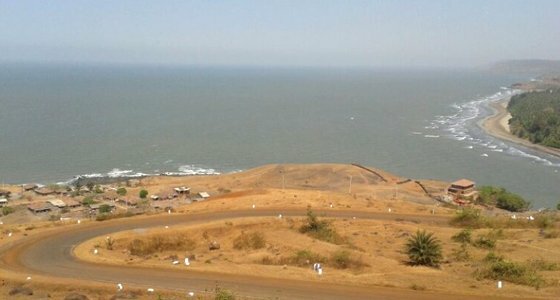 Anjarle Beach : Anjarle beach is located in the close vicinity of the clean and cute village Aajarle near to Harnai city. The beach is a clean, serene and unspoiled one with lined up palm trees and white soft sands. This is famed as a great weekend destination. A nearby attraction is renowned Kadyavarcha Ganpati temple.